b. 3 May 1750, o.s. of Col. William Windham of Felbrigg by w. Sarah neé Hicks of Tanfield, Essex, wid. of Robert Lukin of Dunmow, Essex. educ. Eton 1757-66; Glasgow Univ. 1766; Univ. Coll. Oxf. 1767-71; Grand Tour 1779-80. m. 10 July 1798, Cecilia, da. of Commodore Arthur Forrest, second in command Jamaica, s.p. suc. fa. 1761. Chief sec. to ld. lt. [I] Apr.-Aug. 1783; PC [I] 9 June 1783; sec. at war with seat in cabinet July 1794-Feb. 1801; PC 16 July 1794; sec. of state for War and Colonies Feb. 1806-Mar. 1807. Maj. Norf. militia 1778; lt.-col. commdt. 4 batt. Norf. vol. inf. 1803-4.
one of the most agreeable, spirited, well-bred and brilliant conversers I have ever spoken with ... a man of family and fortune, with a very pleasing though not handsome face, a very elegant figure, and an air of fashion and vivacity. Spoke later and when I had no reason from my feel to expect that I should speak well. I did, in fact, forget much of what I had intended, and of what had been made perfectly familiar to me; and of that which I did produce all the colouring had sunk in ... So easy is credit gained, with us at least, by public speaking. his most solemn declaration, that whenever and in whatever shape the motion for a parliamentary reform was brought forward he must oppose it ... it tended to raise and excite amongst the people an universal discontent, where none existed previously. It was easy to raise a storm ... even the slightest scratch might produce a mortal wound. I am convinced that the declaration of Lord North and Mr Windham that they were ready to give their support to government in repressing any attempt to disturb the public tranquillity will be very fully and very generally avowed by those with whom I have acted; and it follows of course that they will be ready to deliberate on the measures which they would wish to support. I have in general been far from adverse to the principles and cause of the French revolution. So much otherwise indeed, that from the beginning almost, Mr Burke and I have never exchanged a word on the subject. But when an attempt is made to bring the same principles home to us, principles in a great measure extravagant and false and which at best have no practical application here, I shall ever prove myself as violent an opposer of them as Mr Burke or anyone can be. to profess their strong belief (though not speaking from direct authority) that there would be a determination in their principal friends to give a complete support to any vigorous measures at home or abroad and to do this thoroughly without looking to any arrangement of office. If that cannot be done without letting Pitt stay in, let him stay. If to that purpose support to government is necessary they from me shall have it. Attachment to party must give way to that which is the foundation of such attachment, the good and safety of the country. As the Duke of Portland will not call us together, nor act as our chief, we have taken this method of manifesting that we are not individual deserters, but a strong body. There were only 21 present. It was only Members of the House of Commons. Windham was so dilatory and undecided about it that the cards went out only that day, and many more would have attended if they had had notice. We are to have another meeting immediately, at which, I suppose, we may muster about fifty. The company resolved unanimously on Sunday to support government. Windham, in opening the business, mentioned distinctly the difference with Fox, and the impossibility of holding any communication of counsels with him, which was unanimously assented to. He mentioned the hope, or rather the wish, that our meeting might lead to a restoration of the Duke of Portland to his natural place as our leader, which was also the general wish of the company. Windham was our leader on this occasion; I was also considered as standing forward in the business, and in general his name and mine are apt to go together. This meeting has a good effect. It silences the imputation of desertion. It must show the Duke of Portland that we are determined to take our own line even without him; and it has pledged Windham more distinctly than he was before to a separation from Fox. The Duke of Portland was informed of it by Windham before it took place, and expressed no disapprobation. That it is the opinion of this meeting that it is their duty as public men to oppose to the utmost of their power the alarming progress of French power and French principles both at home and abroad and for that purpose that they will give their decided and efficient support to his Majesty’s government in the present difficult crisis of public affairs. As an attempt to force Portland’s hand the formation of a pressure group misfired: but it marked the inevitability of a break with Fox. On 18 Feb. Windham confronted Fox in the House with a justification of a ‘bellum internecinum’ against revolutionary France: ‘when opinions were propagated by force of arms, it became necessary that they should be opposed’, the object being the country’s own absolute security, rather than the extermination of the enemy; and while war aims could not be specified in advance, ‘a better form of government’ in France seemed to be an essential requirement. When Portland agreed to a modified version of a vote of thanks by the Whig Club to Fox for his lead in opposing loyal associations, Windham, a founder member, was one of the 18 dissidents who met on 28 Feb. to announce their withdrawal from the Club in protest: this resolution was signed by 45 members.9 On 4 Mar., when Windham opposed Sheridan’s motion for evidence of sedition on the general grounds that there was no smoke without fire and that support for loyal associations and for government was ‘the first duty of men of every party’, Fox took him to task for canvassing a secession from the Whig Club and raising ‘a sort of independent corps’. Apropos of Windham’s ‘quick sense of alarm and his perseverance in dismay’, he quipped: ‘When fear could thus confer both profit and reputation, there was no saying to what a man might aspire by this glorious kind of magnanimous timidity’. His neglect in not writing to me on such a subject is strong instance not only of his present unofficial habits, but of the unofficial turn of his mind. The whole tenor of his letter indeed expresses an insouciance on the affairs of this world that is hardly reconcilable with public virtue in the present state of things, and is a total disqualification for any useful exertion, either in office or out of it. He has great qualities however, and great powers. The situation beyond all comparison most agreeable to me would be that of a mere Member of Parliament, maintaining from time to time my own opinion in debate, and giving to ministry, in a cause which I approved, the benefits of a support which would become of some value from its total exemption from the suspicion of any undue motive. The thought of any closer connection is one from which I shrink with perfect dread: yet I am far from being convinced that it may not be necessary. The only choice, therefore, that will be left to me and others who are of that opinion, will be either to remain a third body, or rather a third, independent collection of individuals, supporting ministry but not joining them, or to incorporate ourselves, at some period and in some circumstances, with those to whom, as party men, we have hitherto been opposed. called themselves the virtuous triumvirate, and determined not to take office, from the idea that they could more effectually serve the government by convincing the public that they quitted opposition merely from a conviction of the wisdom of maintaining the measures of administration than from the inducement of holding a place. such an union took place between Lord Spencer and Mr Windham and the party attached to the Duke of Portland that it would be difficult if not impossible for Lord Spencer and Mr Windham to enter into office without the Duke of Portland and his party. The only considerable talents gained are Windham’s, and I conceive him to be an impracticable man ... My next apprehension is, that Mr Windham, who will lead that set, will induce Mr Pitt, or strengthen him in his determination to pursue the war in Flanders and on the northern frontier offensively ... when the Emperor and the King of Prussia are relaxing in their co-operation. The head of this party is undoubtedly Windham, who ... will naturally look to be a leader in the House of Commons, and who—as I well know, though I fancy Pitt does not—is a man not only of very great ability, but of immense pride, ambition and resolution, who fears nothing, who will never submit to act a second part; who has abilities to sustain a first, and who naturally will be supported by the powerful aristocracy with whom he is connected; who possesses all the arts of forming and increasing a party, and who is certainly in high personal favour with the King. Such an intermission of the use of books I have never known, and reflection, I am sorry to find, has very much gone with them ... it has been a mere animal kind of existence, having neither prospect nor retrospect, but confined wholly to the pains and pleasures of the moment. to be a good, well-meaning man—with great genius and talents for conversation and discussion, but forced by the times into a situation far above ses moyens. I think he is prejudiced and often led, and therefore unfit to lead others. If being well-meaning would alone do, he would do well. The trial I have had of official life has not served to reconcile me to it. It is the period of my existence in which, I think, I have had the least enjoyment ... I go doggedly on, however, resolved that what good I can do shall not be lost for want of assiduity, and enjoying, in fact, the persuasion till lately that my determination in that respect had not been without effect. The failure of the expedition to Quiberon ... joined to the event of the Spanish peace, has brought things to a state in which that consolation will probably be denied me ... Should peace ever be made with the Republic, I think England will be no longer a country to live in ... I think I shall be inclined to choose Italy. If one is to submit to humiliation it had better be anywhere else than in one’s country. The circumstances and manner of this call for Windham were extremely insulting, being intended to convey their conviction that he could not speak without committing some indiscretion, and laying himself open to attack. at present a second hand minister put in motion by Burke for the purpose of thwarting, or at least counteracting by out of doors conversation, that cabinet of which he still remains a member and of which he must be considered as adopting the measures. Windham is uncommonly and classically clever, but has the very fault he attributes to Pitt—no real knowledge of mankind; not from not living in the world, but from not being endowed with those qualities (inferior in themselves) which would enable him to judge of their real designs and character. From this reason he was the dupe of every emigrant who called on him; and he still persists in the idea of the bellum internecinum, and the invading of France. Burke spoilt him, and his genius still rules him. He is withal the most honourable and most sensible of the cabinet, and with many very great and amiable private virtues—a first-rate scholar, and quite of the right school. What was to become of the dignity of that House, he would ask, if the manners and gestures, and tone and action of each Member, were to be subject to the licence, the abuse, the ribaldry of newspapers? ... A great many of these newspapers were brought into existence, and nourished by debates in Parliament ... a poison which was circulated every twenty-four hours, and spread its venom down to the extremity of the kingdom. Newspapers, he thought, now contributed to the overthrow of governments. He was further perplexed about the proposed union with Ireland; he thought of resigning over it, but explained his ‘difficulties’ to Pitt, 10 Jan. 1799. He feared that the ‘friends of English government’ would be the sole beneficiaries and that the Catholics would not assent. His friends dreaded his hasty objections: William Elliot urged Sir Gilbert (now Lord Minto) to stop him—he might still infuse ‘right principles into our councils’ if he remained in office; out of it, he would stand alone. Windham overcame his scruples and on 7 Feb. made one of the best speeches in the debate on the Union, arguing that Ireland was a wolf ‘which it was neither safe to hold by the ears, or safe to let go’, and that to combat the spread of French principles there the Catholic religion must be established. diverted with the idea of Windham shut up with a very small opposition with the Grenvilles, who he says are extremely unpopular; that Windham is thought an honest, ingenious man but a Don Quixote and that he himself never sees him without thinking he has a barber’s basin on his head. You will be surprised to hear that I, who have abused Windham all the war, now begin to like him—as his late speech half convinces me his support of the war has been all along the result of his judgment, and not the offspring of any interested views. Nothing could be so well meaning or so eloquent as he was: his speeches were the finest productions possible of warm indignation and fancy, yet still he must condemn such parts of them as hold out the French nation as the first in point of military and political abilities, and, therefore, deservedly the first in Europe. This part of it was a language he strongly reprobated as not correct, and as unbecoming the mouth of any Englishman. to give a lecture to the country upon the nature of its situation, the errors of its former opinions and conduct, and the necessity of its preparing itself, not physically but in spirit ... for a more dreadful struggle. Windham has no sort of eagerness for place. He speculates a little favourably of Grey and Sheridan and would more readily I believe acquiesce in some concert with them or either of them, than with Mr Pitt or Mr Fox, because they would have less the masterdom of those with whom they might undertake to act, and be consequently less able to overrule their principles. With the courage of his conviction of the need for ‘a very general arming and training of the people’, which was frustrated in Parliament, Windham turned in the summer of 1803 to the local defence of Norfolk. He raised the Felbrigg volunteers and exposed the inadequacies of coastal defence, persuading a county meeting to adopt the more moderate of two resolutions he had drawn up. After concerting measures with the Grenvilles, he spoke on the address, 23 Nov. 1803, explaining that while he assented to it for the country’s sake, he thought more was to be feared from ‘the little band which we see before us on the Treasury bench’, who collectively were ‘weakness itself’, than from ‘Buonaparte and his legions’, adding, ‘I really believe the country will perish in their hands’. He endorsed Fox’s view that Ireland was vulnerable in its present unsettled state and emphasized that, though he had not convinced the Norfolk gentry of their openness to invasion, he had drawn public attention to the subject. No reply was made to him in a House of about 200: Sir Richard Hill had advised Addington to treat him like Rabshakeh: ‘Answer him not a word’. Windham was perplexed by the censure of Melville for malversation; his animosity towards Melville in the past was known. Privately he regarded it as ‘a severe reverse, but a most merited one’ and desirable that the Admiralty should be taken out of hands that ‘would soon have given us a Scotch navy’. On 8 Apr., while he voted for Whitbread’s censure, he was anxious that the wording should be ‘ambiguous’; on 10 Apr. he was more firmly against any rescinding of the House’s decision. To a friend of Melville’s who had appealed to him he wrote that he would not shield public men against their misdeeds, only against any exaggeration of them. Rough handling of Windham in ministerial newspapers ensued and on 26 Apr. he lashed out in the House at the injuring of public men’s reputations as an abuse of freedom of the press. On 29 Apr. he pronounced in favour of criminal prosecution of Melville, though he wished the mode of trial had been left to the decision of a select committee. Next day he opposed his own inclusion in the ballot for the committee on the 11th naval report, owing to his past association with Melville; but the attorney-general insisted that Windham’s ‘sturdy morality’ ruled this objection out and he was voted in by 207 votes to 80. On 25 June he opposed the substitution of impeachment for criminal prosecution, for which he had voted silently on 12 June.46 Having overcome his initial reluctance to act against Melville and joined the committee to investigate the charges against him, he extended his hostility to abuses to the Duke of Atholl’s ‘job’, as well as to Pitt’s dealings with Boyd and Benfield, 14 June: his treatment of Pitt was resented and he was nearly ‘coughed down’. On 20 June he supported Grey’s motion on the state of public affairs, opposing prorogation. He also supported Paull’s motion reflecting on the conduct of Lord Wellesley in India, 25 June, and his protégé Col. Craufurd’s army motion, 28 June, advocating enlistment for a period of years. In March 1806 Windham was criticized in the House for his delay in presenting his military plan. He blamed this on Pitt’s friends because of the failure of their policy and was stung by Canning into admitting that Pitt’s Additional Force Act had no part in his own scheme. He was anxious to present his plan entire, without previous hints as to its contents. 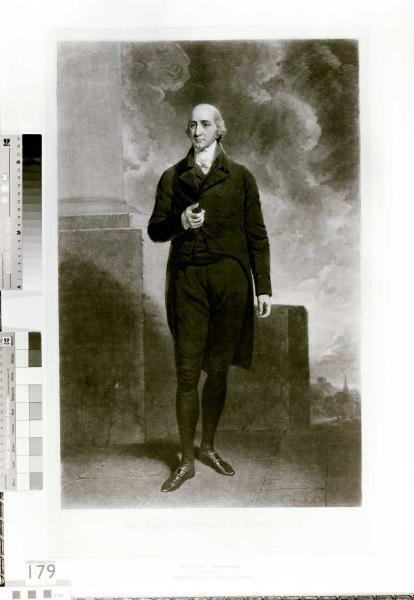 Lord Grenville was asked to facilitate this and he and his colleagues to swallow their objections to parts of it, such as the minimal role left to the volunteers. On 3 Apr. he presented it and obtained leave to repeal Pitt’s Act. He was ‘particularly diffuse in his proposals’, speaking for four hours to a House of about 350. He proposed enlistment to the regulars for up to 21 years instead of for life, with pay increases and rewards for long service, including a pension scheme costing £200,000 p.a. ; gradual reduction of the militia and of the volunteers; and a disembodied conscription of all men between 18 and 40. This was the implementation of his view that a professional army of quality would be more formidable to the enemy than any mixed system of recruitment. He would have liked to offer regular soldiers as such the vote in their counties (except in Scotland) as an additional privilege. The volunteers certainly got the message, for many of them resigned at once. The firmness of Mr Fox was ... necessary to its success ...; but for that Mr Windham would have been basely abandoned by his friends ... Mr Windham was not insensible to the noble-minded conduct, on all occasions, of Mr Fox to him, or to his cordial and disinterested support of this plan in particular ... his personal inclinations were from this moment obviously more directed to Mr Fox and his immediate adherents, than to any other branch of the political association with whom he acted. I cannot see what end could be answered by my removal to the House of Peers that would not equally be answered by my withdrawing altogether from an official situation, and I have not a hesitation in saying which of the two I should prefer. The falling off of Windham’s activity in the ensuing session answered to these dissensions. In January 1807 he was faced with Castlereagh’s attacks on the army estimates and military policy in South America, but he ‘replied in good heart and as usual amused by his jokes’. He was overruled when he advocated Sir John Stuart as commander of the expedition for the relief of Buenos Aires. He was ill and absent from the House before and after he renewed his opposition to the abolition of the slave trade on 27 Feb. Believing that it would spell the ruin of the country, he clashed bitterly with Wilberforce, not least about Burke’s views on the subject, 16 Mar. Meanwhile he held out hopes that his military plan was winning recruits for the regulars, 12 Mar., and could only hope that they would not be sacrificed to indiscriminate expeditions. He was adamant against any concessions to the King over the proposed Catholic relief bill, thinking the King should be told explicitly what was intended by it. Like Howick and Holland he was for immediate resignation rather than compromise. In Whig circles the report was that the Duke of York had urged the King to resist the bill, so as to get rid of Windham. His determination not to belong to ‘a set of very shabby people’ was reinforced by a further squabble with Grenville over Cape patronage, which, if he kept his word, would in any case have led to his resignation; it would not have taken Grenville by surprise and would have opened up a place acceptable to Canning, as a prelude to a Pittite junction with government. As it was, Windham left a parting memorial for the colonial department protesting against Treasury encroachment on its patronage. This was the basis of Lord Holland’s story that Windham was ‘actually on the point of resigning on other grounds when we were all dismissed’: while they were waiting to offer their resignations to the King, he had explained to him his quarrel with Grenville over patronage. He inveighed so bitterly against the grasping spirit of the family, and spoke with such emphasis and gesticulation, that I grew alarmed lest the lords of the bedchamber and other sycophants (the growth of courts), who were at the door and enjoying, no doubt, the business which had brought us there that day, should imagine that it was vexation at the loss of our places which occasioned the vociferation and agitation which they witnessed ... But I learnt enough to know that had our ministry continued, he would have resigned, and that Lord Grenville for some good and for some bad reasons would not have been sorry to accept his resignation. Windham, in a sudden fit of disgust, told Lord Grenville that he desired he might no longer be considered as connected with him, as he meant to attach himself to Lds. Howick and Holland solely. This rash declaration was ill-timed, and nothing could be more ill-judged than to do this at a moment when unanimity is so requisite, and when all jealousies should be laid aside. would not choose to be obliged to any man, if he could avoid it, but yourself, and in such a connection, he would even feel a positive satisfaction. He would consider it as an union of all who remained more immediately representing the sentiments of Lord Rockingham and Mr Burke. I shrink from the prospect of returning to parliamentary duty, much more to that of office ... As to ... leading the House of Commons, it is a situation which I have no reason to think will ever be offered me, but which infallibly I would never accept. to save himself from the imputation of voting with Burdett upon common grounds, he delivered in a regular discourse the most extravagant defence of government influence and corruption turning chiefly upon the notable sophism that in corruption there are necessarily two parties, and that the people must be bad before the government can corrupt. For the enormities committed by the British power in India, in all the enormities under all the successive variations of the French revolution, and by no means recently under Buonaparte, no parallel was to be found. There were some measures which ought to be rejected in limine ... such was, in his opinion, the measure of parliamentary reform ... This measure was said to favour the landed interest against the monied interest—that was not the tendency out of doors. Perceval thought Windham’s a ‘very able speech’, noting that his opposition to the bill was stronger even than his own. He could no longer be counted on for party meetings; his support in the House was considered ‘powerful but irregular’: he no longer waited to vote in the sense that he had spoken. Greenhill, Member for Thirsk, claimed that he had ‘fallen low, as a political character, on every side the House. His wavering indecision—his splitting straws and his inconsistency have left him a character not to be looked to.’ On 11 May, when Madocks renewed the charge of corruption against Castlereagh, he again repudiated it, thinking corruption ‘as inevitable as the poison in the air we breathe’ and insisting that it was stronger at the bottom of society than at the top. He did not vote. On 26 May he further attacked Curwen’s bill: parliamentary reform was unthinkable without the reform of the people; abuses began among them and gradually became ‘the bribes which government pays to the people, directly or indirectly, to prevent them from pulling the government to pieces’. Those who got into Parliament by purchase or influence were at least not ‘the mere slaves of popular opinion’. With reference to Burdett, he rebuked reforming mischief-makers whose patriotism was based on the maxim ‘I am the only honest man, all others are rogues’. Lord Grey, who felt bound to disagree with his views, admitted readily that he ‘spoke beautifully’ on this subject. On 12 and 13 June he successfully took the lead against Erskine’s cruelty to animals bill, which showed ‘a false and spurious kind of humanity’ in leaving the animal sports of the rich out of the question and dictated behaviour which should be a matter of manners.62 His aversion to animal slaughter had however been the subject of a speech of 21 Apr. 1800.
it is indeed difficult to say what good we could do, if we had the affair all in our own hands. Much service may undoubtedly be rendered by an upright and well disposed ministry, by a just distribution of patronage, by encouraging merit, and repressing intrigue and presumption, by producing a great deal of individual good and improving all the efficient departments of the State, not to mention the benefit of the example. But I am not sure that we should be better in that respect than our neighbours. And for great and beneficial measures I know not what they are to be. Windham’s mind was in the last degree copious, the soul was so fertile, scratch where you pleased, up came white clover. He had many of the true characteristics of a hero, but he had one great fault as a statesman, he hated the popular side of any question ... I had a melancholy proof of it in the instance of the slave trade. 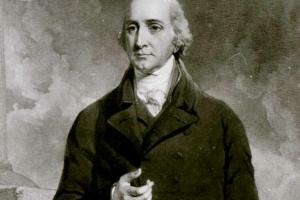 When the abolition had but few friends, he was all on our side, but as the nation drew towards us, he retreated, and at last on the division in 1807, he was one of the sixteen who voted against us. if prudence had limited his logic and mitigated his expressions, they would have been acknowledged to be no more than those views of different sides of an object, which, in the changes of politics, must present themselves to the mind of a statesman. Windham, half his life an active participator in the events of the earth, and one of those who governed nations—he regretted—and dwelt much on that regret, that ‘he had not entirely devoted himself to literature and science’!!! His mind certainly would have carried him to eminence there, as elsewhere; but I cannot comprehend what debility of that mind could suggest such a wish ... What! would he have been a plodder? a metaphysician? perhaps a rhymer? a scribbler? Such an exchange must have been suggested by illness. His views and councils were directed more to raising the glory than increasing the wealth of his country. He was above all things anxious to preserve untainted the national character, and even those national manners which long habit had associated with that character. As a statesman, he laboured to exalt the courage, to improve the comforts, and ennoble the profession of a soldier. There is still no complete biography. Soon after Windham's death his friend Edmund Malone published a memoir (see Gent. Mag. (1810), i. 588) described by Lord Holland as 'a most miserable performance'. His executors delegated the task to George Ellis*, who died in 1815 without accomplishing it. Windham's agent and secretary, Thomas Amyot, published his speeches in 3 volumes in 1812 with a prefatory memoir. Some of his diaries (1784-1810) were published in 1866, probably incompletely, and are partly lost. His correspondence with Mrs Crewe was published at the same time in the Miscellanies of the Philobiblon Soc., vol. ix. The Windham Papers edited by S. Benjamin in 1913, not always reliably, but with a notable introduction by Lord Rosebery, drew on the mss collection acquired by the BL in 1909 (Add. 37842-37935), as did J. P. Gilson in his Corresp. of E. Burke and W. Windham (1910) and 'Lewis Melville' in his Life of William Cobbett (1913). R. W. Ketton-Cremer drew on his own Windham mss (now in the Norf. RO, except for Add. 50851 in the BL) for The Early Life and Diaries of William Windham (1930) and wrote an extended essay on Windham in his Felbrigg (1962). 1. Diary of Madame d’Arblay ed. Dobson, iii. 419, 436; iv. 259, 368, 380, 381, 384, 400; Windham Diary, 205, 207; Windham Pprs. i. 96; Brougham, Hist. Sketches, i. 210. 2. Horace Walpole Corresp. (Yale ed. ), xxxiv. 65-7; Windham Pprs. i. 89; Windham Diary, 212; Burke Corresp. vi. 142, 194; Minto, i. 379; Prince of Wales Corresp. ii. 564; Windham Pprs. i. 98; HMC Fortescue, ii. 150; Holland, Mems. Whig Party, i. 16. 3. Windham Diary 212-14, 220, 245; Diary of Madame d’Arblay, iii. 455; Sheridan Letters ed. Price, i. 238. 4. Diary of Madame d’Arblay, v. 75; PRO 30/8/153, f. 83; Burke Corresp. vii. 149; Malmesbury Diaries, ii. 469; Add. 51705, Pelham to Lady Webster, 28 May 1792; Windham Pprs. i. 100; Windham Speeches ed. Amyot, i. 153; Fitzwilliam mss, box 44, Grenville to Fitzwilliam, 29 Aug. ; Windham Diary, 257; Blair Adam mss, Windham to Adam, 13 July 1792. 5. Windham Diary, 261; Burke Corresp. vii. 288, 289, 305, 315, 318; Fitzwilliam mss, box 44, Grenville to Fitzwilliam, 15, 17 Nov., Windham to same, 17 Nov.; W. L. Clements Lib. Pitt letters, Pitt to Dundas, 15, 25 Nov. 1792; Geo. III Corresp. i. 807; Portland mss PwF9229; Malmesbury Diaries, ii. 450, 478; Add. 37844, f. 1; 37873, f. 181; Wentworth Woodhouse mun. F31/4; Holland, i. 23. 6. HMC Charlemont, ii. 203, 207; Sheridan Letters i. 264; Auckland Jnl. ii. 474, 476; Minto, ii. 87, 90, 97, 100; Malmesbury Diaries, ii. 479-95, 497; Wentworth Woodhouse mun. F31/5. 7. Malmesbury Diaries, ii. 498; Geo. III Corresp. i. 819; Records of Stirring Times ed. Montgomery-Campbell, 27; Minto, ii. 112; NLS mss 11048, f. 168. 8. Add. 34448, f. 296; 37873, ff. 201-2; 41854, f. 296; 42058, f. 115; Minto, ii. 113; NLS mss 11196, ff. 95, 97, 98; F. O’Gorman, The Whig Party and the French Revolution, 127. 9. NLS mss 11196, f. 102; Add. 53804, f. 117. 10. Burke Corresp. vii. 349; Minto, ii. 121; Windham Diary, 272; Add. 37848, f. 55. 11. Minto, ii. 127, 139, 147; Windham Diary, 226, 273, 274; NLS mss 11048, f. 278; Lansdowne mss, Wycombe to Lansdowne, 11 June 1793. 12. Windham Pprs. i. 137, 140-5; Windham Diary, 278; Lansdowne mss, Wycombe to Lansdowne, 18 June; NLS mss 11048, ff. 288, 292, 304; 11138, f. 15; 11139, f. 7; Spencer mss, Spencer to his mother, 18 June 1793; Minto, ii. 150; Glenbervie Jnls. 116. 13. Windham Diary, 279; NLS mss 11049, f. 5; 11111, ff. 267, 269; 11139, ff. 24, 34; Minto, ii. 159, 167; Windham Pprs. i. 146, 151, 153, 155; Add. 37845, f. 15. 14. Windham Pprs. i. 157-9, 165; Burke Corresp. vii. 438-9; Add. 37844, f. 11; 37848, f. 71; 38743, ff. 216, 224, 264; Wentworth Woodhouse mun. F31/9; Fitzwilliam mss, box 45, Portland to Fitzwilliam, 26 Sept. 1793. 15. Burke Corresp. iv. 201; vii. 440, 469, 478, 487; Windham Pprs. 167, 169, 173, 176, 184, 186; Add. 33629, ff. 2, 5, 13; 37845, f. 119; 42058, ff. 98, 128; 51706, Pelham to Lady Webster, 7 Dec. 1793; Malmesbury Diaries, iii. 6; Windham Diary, 296, 299, 302; Spencer mss, Windham to Spencer, 9 Dec., Grenville to same, 27 Dec. 1793; NLS mss 11138, f. 42; Jnl. of Lady Holland, i. 118; Glenbervie Diaries, i. 8-9, 15; PRO 30/8/190, f. 220; Camden mss C255/1. 16. NLS mss 11138, ff. 57, 63; Windham Pprs. i. 199; Burke Corresp. vii. 525, 530; Add. 33129, f. 232; 33630, f. 1, 11-32; 33631, f. 4; 37844, f. 19; 42058, f. 100; 51706, Pelham to Lady Webster, 16 Jan., 21 [Jan.], 4, 20 Feb., [27 Feb.], 7 Apr. 1794; Windham Diary, 301-2; Geo. III Corresp. ii. 1039. 17. Camden mss O256/1; Wentworth Woodhouse mun. F31/15; Windham Diary, 308, 312, 314; Windham Pprs. i. 216; Prince of Wales Corresp. ii. 843; Gent. Mag. (1810), i. 588; Portland mss PwF4398-9, 9538; Add. 42058, f. 161; 51706, Pelham to Lady Webster, 19 June 1794; NLS mss 11138, f. 71. 18. Rose Diaries, i. 194; Bland Burges Pprs. ed. Hutton, 260, 273. 19. Geo. III Corresp. ii. 1110, 1113, 1118, 1120; Buckingham, Court and Cabinets, ii. 275; Windham Pprs. i. 239-46, 256-62, 273-5; NLS mss 11138, f. 79; Wentworth Woodhouse mun. F31/32, 33, 74, 75; Windham Diary, 321-33; Minto, ii. 387; W. L. Clements Lib. Pitt letters, Pitt to Dundas, 12 Oct. ; PRO 30/8/102, ff. 264-6; 190, ff. 240, 248; 330, f. 326; Stanhope, Pitt. ii. 287-8; Burke Corresp. viii. 101; Farington, i. 51, 54. 20. Burke Corresp. viii. 105, 122; Farington, i. 85-6; Add. 51706, Pelham to Lady Webster, 26 Jan. 1795; Geo. III Corresp. ii. 1250; Life of Wilberforce (1838), ii. 90. 21. Farington, i. 90; Chatsworth mss, Duchess of Devonshire to her mother, Tues. [12 Apr. 1795]; Field, Mems. Samuel Parr. i. 319. 22. Add. 37875, ff. 2-5; Wentworth Woodhouse mun. F31/82; Burke Corresp. viii. 181, 268-9, 273, 304; Windham Pprs. i. 287, 301; Minto, ii. 330-2. 23. Colchester, i. 4, 22; Farington, i. 111, 119; HMC Fortescue, iii. 137, 141, 162. 24. Holland, i. 21; Farington, i. 140. 25. HMC Fortescue, iii. 174; Kent AO, Stanhope mss 731/9, Windham to Pitt, 31 Jan. 1796; Windham Pprs. ii. 5, 8, 19; Burke Corresp. viii. 375-6, 447; ix. 65; NLS mss 11138, f. 120; Pellew, Sidmouth, i. 175. 26. Glenbervie Diaries, i. 79, 97, 105; Add. 37876, ff. 214, 218; Windham Pprs. ii. 27, 31-3, 34; Misc. Philobiblon Soc. ix. 39; Burke Corresp. ix. 185-7, 203; Fitzwilliam mss, box 50, Laurence to Fitzwilliam, 20 Dec. 1796. 27. Glenbervie Diaries, i. 114, 121; Windham Pprs. ii. 40, 42, 46; Windham Diary, 348, 357, 378; Morning Chron. 7 Jan., 1 Feb. 1797; M. D. George, Cat. Pol. and Personal Satires, vii. 9735; Burke Corresp. ix. 287, 299-300, 313, 339, 349, 368; Add. 37877, f. 118; Fitzwilliam mss, box 51, Laurence to Fitzwilliam, 16 May 1797. 28. Windham Pprs. ii. 47, 61, 64; Minto, ii. 396; HMC Fortescue, iii. 330, 362; Stanhope, iii. 53; Windham Diary, 367-8, 373, 380; Malmesbury Diaries, iii. 590. 29. Windham Diary, 383, 385; Colchester, i. 120; Life of Wilberforce, ii. 244; PRO 30/8/190, f. 256; Farington, i. 199; Add. 37877, ff. 296, 310-11; HMC Fortescue, iv. 207; Windham Pprs. ii. 71, 74, 77, 78; Minto, iii. 16. 30. Windham Diary, 404-5, 406; NLS mss 11139, f. 130; Sidmouth mss, Windham to Addington, 29 Jan.; Chatsworth mss, Lady E. Foster jnl., 8 Feb.; Harewood mss, Canning to Rev. Leigh, 9 Feb. 1799; Windham Pprs. ii. 92. 31. Add. 37884, f. 185; 37923, f. 6; 41854, f. 304; HMC Fortescue, iv. 85; Windham Diary, 410. 32. Windham Pprs. ii. 102, 112, 132, 143; HMC Fortescue, v. 306, 346, 359, 382, 407; Add. 37883, f. 262; 37923, ff. 8-46. 33. Windham Pprs. ii. 152; Add. 37844, ff. 237, 239; 37847, f. 208; 37879, f. 148; 37924, ff. 48-66; PRO, Dacres Adams mss 3/26, 32; HMC Fortescue, vi. 218, 220, 341; NLS mss 11139, f. 141; Windham Diary, 423, 424, 430-1; Glenbervie Diaries, i. 152, 157; Malmesbury Diaries, iv. 22-3; Geo. III Corresp. iii. 2143, 2234n, 2256. 34. Add. 37924, ff. 85-90; 38235, f. 172; Malmesbury Diaries, iv. 7; HMC Fortescue, vi. 436, 445, 449; Geo. III Corresp. iii. 2348; Windham Pprs. ii. 169; Glenbervie Diaries, i. 159; Jnl. of Lady Holland, ii. 132; Minto, iii. 201; The Times, 2 May 1801. 35. Malmesbury Diaries, iv. 59; Windham Pprs. ii. 172-3, 176; W. L. Clements Lib. Pitt letters, Pitt to Dundas, 2 Oct. 1801; Add. 35701, f. 126; 37844, f. 253; 37880, f. 160; 47574, f. 163; Grey mss; Melville, Cobbett, i. 137; Morning Post, 2 Oct. 1801; HMC Fortescue, vii. 66; Glenbervie Diaries, i. 266; The Times, 31 Oct. 1801. 36. Chatsworth mss, Duchess of Devonshire jnl. [5 Nov.]; Malmesbury mss, Elliot to Malmesbury, 5 Nov. 1801; Glenbervie Diaries, i. 272, 276; Add. 37880, ff. 193, 197, 210, 214, 224, 226, 251; 41854, f. 308; 51570, Hamilton to Holland, Tues. [6 Nov. 1801]; Colchester, i. 377; Courier, 5 Nov. 1801; M. D. George, viii. 9735; Windham Pprs. ii. 178, 180; Buckingham, iii. 180; HMC Fortescue, vii. 71; Fitzwilliam mss X516, Laurence to Fitzwilliam [17 Dec. 1801]; Spencer mss, Grenville to Spencer, 5 Jan. 1802; Farington, ii. 97. 37. Fitzwilliam mss, box 60, Laurence to Fitzwilliam, 24 Feb.; Add. 37880, ff. 249, 263; 37884, f. 288; 41854, f. 312; Grey mss, Tierney to Grey, 6 Mar. 1802; Jackson Diaries, i. 44; Malmesbury Diaries, iv. 66; Windham Pprs. ii. 183, 184, 187, 188; Malmesbury mss, Leveson Gower to Malmesbury, Fri. [?14 May 1802]; Creevey Pprs. ed. Maxwell, i. 9; PRO 30/29/8/3, f. 243; Life of Wilberforce, iii. 48; Minto, iii. 250. 38. Bucks. RO, Hobart mss H96, 97, 99; Norf. RO, Colman Lib. mss 632, f. 31; M. D. George, viii. 9879; HMC Fortescue, vii. 99; Buckingham, iii. 205; Stanhope mss 731/9, Windham to Pitt, 6 July; The Times, 8, 13, 14, 15, 16 July; Norf. Chron. 17 July 1802; Add. 37881, f. 1; 37885, f. 10; 37906, ff. 1, 5, 11; 41854, ff. 315, 317, 318, 320, 322; Windham Pprs. ii. 193, 195, 199. 39. Windham Pprs. ii. 196-9; Leveson Gower, i. 355; Sidmouth mss, Glenbervie to Addington, 26 Sept. 1802; Glenbervie Diaries, i. 337; Ketton-Cremer, Felbrigg, 210; Courier, 5 Jan. 1803; HMC Fortescue, vii. 117, 124, 128, 131; Add. 37846, ff. 190, 192; 38236, f. 231; 41854, f. 324; Dublin SPO 520/129/40; Fitzwilliam mss, Laurence to Fitzwilliam, 15 Nov.; Herts. RO, Spencer Cowper mss, box 13, Lady Melbourne to Cowper, 26 Nov. 1802; Buckingham, iii. 219; Farington, ii. 65. 40. Chatsworth mss. Fox to Duchess of Devonshire, 16 Dec. 1802; Malmesbury Diaries, iv. 167; HMC Fortescue, vii. 155; Pellew, ii. 122; Harewood mss, Canning to his wife [?18 Apr. ], 20 May; Fitzwilliam mss, box 62, Laurence to Fitzwilliam, 15 Apr. ; Lansdowne mss, Petty to Lansdowne, 7 May 1803; Add. 35772, f. 160; 38833, f. 149; 41856, f. 100; Farington, ii. 101. 41. Add. 35702, ff. 268, 326; 47566, f. 141; 51686, Petty to Holland, 6 June 1803; Farington, ii. 104, 114, 117, 129; Fitzwilliam mss, box 63, Laurence to Fitzwilliam, 11 Aug. 1803; Fox Corresp. iii. 417; iv. 5; HMC Fortescue, vii. 176; Buckingham, iii. 311. 42. Norf. RO, Ketton-Cremer mss, Windham to Lukin, 20 July, 25 Aug., 18, 25 Nov. 1803; Minto, iii. 292; HMC Fortescue, vii. 180, 187; Windham Diary, 443; Windham Pprs. ii. 211, 216; Colchester, i. 463, 464, 468; Pellew, ii. 230-3; Add. 35704, f. 145; 35743, f. 254; 35744, f. 49; 37849, f. 267; 37853, f. 96; 41854, f. 326; 51570, Hamilton to Lady Holland [16 Dec.]; Grey mss, Grey to Fox, 3 Dec.; Lonsdale mss, Ward to Lowther, 10 Dec. 1803; Fox Corresp. iii. 443; Creevey Pprs. i. 19; Sinclair mss, Barclay to Sinclair, 15 Dec. 1803. 43. M. D. George, viii. 10221; Windham Pprs. ii. 227, 230; Farington, ii. 181, 192; Glenbervie Diaries, i. 368; Minto, iii. 303; Malmesbury mss, memo 19 Feb. 1804; Add. 35747, f. 44; 37843, f. 225; 37882, ff. 77, 90; 37906, f. 159; Ketton-Cremer mss, Windham to Lukin, 21 Mar. 1804; Gent. Mag. (1810), i. 588. 44. Colchester, i. 497, 507; Add. 35706, f. 13; 37853, f. 129; 37906, f. 163; Windham Pprs. ii. 232; W. L. Clements Lib. Pitt letters, Pitt to Melville, 14 Apr. ; Rose Diaries, ii. 122-3; PRO 30/8/112, f. 50; Minto, iii. 335; Geo. III Corresp. iv. 2888; Glenbervie Diaries, i. 379; Sidmouth mss, H. to J. H. Addington, 20 June 1804; Farington, ii. 78, 80; Fox Corresp. iv. 57. 45. Buckingham, iii. 375, 410; Windham Pprs. ii. 239, 242; HMC Fortescue, vii. 241, 243, 250, 251; Add. 37849, f. 261; 47569, ff. 186, 192; Auckland Jnl. iv. 229; Colchester, i. 536, 541; Harrowby mss, Bathurst to Harrowby, 27 Jan., [Mar. ], [?9 Apr.] 1805; Windham Diary, 446-8; Leveson Gower, ii. 23; Geo. III Corresp. iv. 3030. 46. Windham Pprs. ii. 252; Farington, iii. 225; Pol. Reg. 5, 12 Oct. 1805; Add. 37882, ff. 162, 167; 37884, f. 265; Melville, Cobbett, i. 271; Colchester, ii. 9. 47. Malmesbury mss, FitzHarris to Malmesbury, 15, 16 June; E. Suff. RO, Tomline mss, Rose to bp. of Lincoln, 15 July; Harewood mss, Canning to his wife, 11 July 1805; Add. 37843, ff. 245, 249; 37849, ff. 200, 276; 37909, passim; Minto, iii. 354; Creevey Pprs. i. 38; HMC Fortescue, vii. 268, 285; Windham Pprs. ii. 193, 255-7, 260-1, 264-7, 269; Sidmouth mss, Churton to Sidmouth, 5 Aug. 1805; Holland, i. 21; The Times, 22 Jan. 1802. 48. Pellew, ii. 395; Windham Pprs. ii. 270, 273, 284; Buckingham, iii. 450-1; Lonsdale mss, Ward to Lowther, 11 Jan. 1806; Add. 35706, ff. 311, 316; 37883, ff. 5, 6, 8, 10; HMC Fortescue, vii. 308, 310, 317, 335, 338, 345, 349, 351; Farington, iii. 160, 170; Auckland Jnl. iv. 268; HMC Lonsdale, 161; Paget Pprs. ii. 271; Windham Diary, 456. 49. Windham Diary, 457-8; Add. 37847, ff. 1, 3, 5, 9, 13; 37849, f. 36; 37883, f. 84; 37906, f. 226; HMC Fortescue, vii. 346; viii. 9, 12, 18, 30, 56; SRO GD51/1/195/6; Sidmouth mss, Sidmouth to Bragge Bathurst, 31 Jan.; Glos. RO, Redesdale mss, Long to Redesdale, 3 Feb.; Bodl. Eng. letters c.60, C. P. to Sir J. S. Yorke, 3 Mar. ; Dorset RO, Bond mss D413, Bankes to Bond, 3 Feb.; Bankes mss, Bond to Bankes, Thurs. [Feb. 1806]; Auckland Jnl. iv. 275; Buckingham, iv. 21; Windham Pprs. ii. 294-8; Farington, iii. 196; Minto, iii. 378-9; HMC Lonsdale, 179. 50. Harewood mss, Canning to his wife, 7, 18, 20, 27 Mar. 1806; HMC Fortescue, viii. 60, 62, 66-67, 77, 113, 134, 149-50; HMC Lonsdale, 178, 182; Windham Diary, 460; Malmesbury mss, FitzHarris to Malmesbury, 4 Apr. 1806; Colchester, ii. 49; Romilly, Mems. ii. 141, 149; Holland, i. 220; Add. 47569, ff. 284, 297; Windham Pprs. ii. 301, 309; Grey mss, Buckingham to Howick, 6 Apr. 1806; Portland mss PwH417; Perceval (Holland) mss 11, f. 10a; J. W. Fortescue, County Lieutenancies and the Army 1803-14, pp. 162, 173, 203. 51. HMC Fortescue, vii. 337; viii. 34, 35, 171-6; Add. 37847, ff. 67, 73; 37883, ff. 143-52; Colchester, ii. 85. 52. M. D. George, viii. 10572; Pol. Reg. 7 June; Harewood mss, Canning to his wife, 7, 21 May, 18, 27 June 1806; Leveson Gower, ii. 199. 53. Farington, ii. 80; HMC Fortescue, viii. 183, 187-9, 208; Windham Pprs. ii. 310. 54. HMC Fortescue, viii. 242, 303, 307, 316, 319, 320, 338, 340, 342, 344, 360, 361, 363, 374-5, 389; Buckingham, iv. 54, 68, 72; Spencer mss, Buckingham to Spencer, 28 July 1806; Add. 34457, f. 33; 37847, ff. 127, 132-8; Windham Pprs. ii. 316, 319; Grey mss, Howick to Whitbread, 20 Sept.; Fortescue mss, Grenville to Moira, 22 Sept. 1806; Prince of Wales Corresp. v. 2229, 2232; Holland, ii. 52; Jnl. of Lady Holland, ii. 183, 184; PRO 30/29/8/3, f. 374; HMC Lonsdale, 209, 211; Wellesley Pprs. i. 214, 221, 228. 55. Lonsdale mss, Stonard to Lowther, 22 Oct.; Sidmouth mss, Sidmouth to J. H. Addington, [21 Oct.]; Bevan Trust mss, Buxton to Glyn, 19 Nov. 1806; Farington, iii. 246; HMC Fortescue, viii. 393-414; Spencer mss, Windham to Spencer, Wed.; NLS mss 3795, ff. 155-6; Jnl. of Lady Holland, ii. 193-4, 197. 56. Pol. Reg. 25 Oct.; St. Germans mss, Perceval to Eliot, 20 Nov.; Sidmouth mss, J.H. Addington to Sidmouth, 1 Dec.; Lonsdale mss, Mulgrave to Lowther, 22 Dec. 1806; Pellew, ii. 441; Add. 37847, ff. 113, 160-72; 37883, ff. 178-80; 37885, f. 39; Geo. III Corresp. iv. 3297; HMC Fortescue, viii. 418, 482-5; Hist. Jnl. xv. (4), 619-48; Prince of Wales Corresp. vi. 2338; Windham Pprs. ii. 335. 57. Windham Diary, 467; Harrowby mss, Ryder to Harrowby, 25 Jan.; Grey mss, Windham to Howick [Jan.], [23, 26 Feb.], [2 Mar.] 1807; Wentworth Woodhouse mun. F64/33; Buckingham, iv. 139; HMC Fortescue, ix. 119, 133; Add. 37847, ff. 200-2; 37886, ff. 204-6; Harewood mss, Canning to his wife, 10 Feb., 6, 10 Mar. ; NLS mss 12920, Windham to Elliot, 16 Mar. 1807; Holland, ii. 196-7, 200, 204; Jnl. of Lady Holland, ii. 205, 210, 224, 226. 58. NLS mss 11139, f. 178; Add. 37849, f. 256; 37886, ff. 235, 272, 276; Grey mss. Windham to Howick, 30 Apr. ; Colman Lib. mss 632, ff. 40-45; Fitzwilliam mss, box 71, Windham to Fitzwilliam, 26, 30 Apr., to Milton, 30 Apr. ; box 72, Laurence to Fitzwilliam [3 May], Windham to same, 5, 8, 20 May 1807; Farington, iv. 144. 59. Geo. III Corresp. iv. 3505; Grey mss, Tierney to Howick, 29 Sept. 1807; Leveson Gower, ii. 285; Add. 34457, f. 369; HMC Fortescue, ix. 139, 151; Romilly, ii. 222-3; Farington, iv. 186. 60. Grey mss, Ponsonby to Grey, 23 Nov., Tierney to same, 28 Nov., 14 Dec., Grey to Holland, 6 Dec. 1807; Hants. RO, Tierney mss 33d; Whitbread mss W1/2434-5; Add. 37887, ff. 182, 184; 41852, f. 323; 51534, Grenville to Holland [?11 Dec. 1807]; Wentworth Woodhouse mun. F32/62; Windham Pprs. ii. 335, 337. 61. Wentworth Woodhouse mun. F32/58; HMC Fortescue, ix. 145; Farington, v. 20, 69, 85; Dorset RO, Bond mss D367, Jekyll to Bond, 9 Feb.; Grey mss, Grey to his wife, 27 Feb., 1 Mar. 1808; Horner mss 3, f. 234; Geo. III Corresp. v. 3643; Add. 51549, Lady Holland to Grey, [27 May 1808]. 62. Windham Pprs. ii. 337-8, 340, 343-4; Whitbread mss W1/373/11; Grey mss, Tierney to Grey, 19 Jan., 10 Feb. 1809; Add. 41853, f. 30; 41854, f. 365; Ward, Letters to ‘Ivy’, 62; Windham Diary, 491; Geo. III Corresp. v. 3873, 3890; Romilly, ii. 288, 294; Farington, v. 147; HMC Fortescue, ix. 294. 63. Windham Pprs. ii. 353-65; Grey mss, Windham to Grey, 29 Sept., 17 Oct. 1809; HMC Fortescue, ix. 333; Pellew, ii. 52-3; iii. 2; Sidmouth mss, Sidmouth to Bragge Bathurst, 30 Oct. 1809; Add. 37888, f. 192; 41854, f. 370. 64. Windham Diary, 492, 500-3; Glenbervie Diaries, ii. 44; Windham Pprs. ii. 347, 365-6; Add. 37906, f. 344; 41854, f. 377; Windham Speeches, iii. 355; Ward, 95; Geo. III Corresp. v. 4124; Harewood mss, Canning to his wife, 17 Feb. 1810; NLI, Richmond mss 73/1718. 65. Colchester, ii. 240, 258, 261; Farington, vi. 28; Geo. III Corresp. v. 4122, 4126, 4130, 4133, 4138; Malmesbury mss, FitzHarris to Malmesbury, 6 Apr. 1810; Romilly, ii. 322; Windham Pprs. ii. 368-9. 66. Add. 37849, f. 312; 37889, f. 107; Farington, iv. 230; v. 208; vi. 63; Bond mss D367, Jekyll to Bond, 10 Feb., 28 May 1810; Minto in India, 236; Corresp. of Lady Lyttelton, 107; Grey mss, Grenville to Grey, 5 June 1810; Life of Wilberforce, iii. 447; v. 139; Brougham, Hist. Sketches, i. 224-5; Mackintosh Mems. ii. 59; Ward, 82; HMC Fortescue, x. 23; Essex RO, Sperling mss D/DSE/3, Northumberland to Brogden, 4 Mar. 1810; John Taylor, Recs. of My Life, ii. 188; Windham Diary, 336, 504. 67. Moore, Byron Letters (1875), 341; Gent. Mag. (1810), i. 588; Windham Pprs. ii. 370-1; Holland, ii. 205.